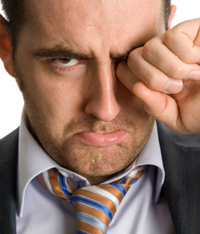 People sometimes say that salespeople are emotional, unlike engineers. I think what they mean is that salespeople are (stereotypically) extrovert so if you mess with them they’ll make a noise about it. Whereas engineers are introvert and will just brood (“How can you tell if an engineer is extrovert? He stares at your shoes”). But actually salespeople are coin-operated. Change their commission plans and they’ll cancel everything they were doing and do something else. They’ll complain loudly but they’ll do it. Engineers are much more emotional and have a lot invested in their products. Cancel their product and it takes a long time for them to become productive again. Unlike sales, they won’t complain but they won’t do it. They’ll waste a lot of time talking amongst themselves about how management shortsightedly delayed the salvation of mankind instead. Every EDA startup, at least the ones that get that far, goes through a difficult emotional transition with engineering when the first product finally starts to ship. In the early days of a startup, almost the entire company (maybe everyone other than the CEO) is in engineering. The focus of every review meeting is engineering schedules. The focus of any HR activity is hiring that next great engineer. Everyone is waiting for that first release of the product. Every small slip of the product, every minor change of specification, is minutely analyzed. Finally the big day arrives and the focus of the company switches very quickly to sales. How is the funnel? What is the booking forecast? How are we doing hiring that critical application engineer? How long to cash-flow neutral? To the extent that management pays attention to engineering it is more focused on when showstopper bugs that are impacting sales will be fixed. Nobody seems to care nearly as much about release 2.0 as they did about release 1.0. Anyone who has more than one child has seen something similar. Their first child is an only child, the center of their parents’ attention. Until that second baby arrives and suddenly they are no longer the center of attention. Firstly, there are now two children so attention would naturally be halved. But secondly, babies have an extremely effective strategy for getting all the attention they need: make an unpleasant noise and don’t stop until their needs are satisfied. When sales start, engineering is like the first child. They go from having all the attention to having to share it. And to make it worse, the second child, sales, has a very effective strategy for getting all the attention they need: explain the reasons they are not closing business until their needs are satisfied. To make things worse still, the reason they are not closing business is probably related to deficiencies in the early immature product, which means that what little attention engineering does get is negative. This is a very tough emotional transition. Engineering is on the start of a path from being almost 100% of the company declining to 20% of the company as it moves towards maturity. Engineering will hold headcount relatively flat as other parts of the company seem to explode. Engineering goes from being the star of the show to a supporting role. The most important thing to do about handling this is to make sure everyone understands that it is going to happen, like telling your 4 year-old about the new baby. And, what is more, make sure everyone realizes that it is a symptom of success, a rite of passage. When all that anyone cares about is engineering, it means that the company isn’t selling anything. When management cares about other things, that’s the first taste of victory. It’s engineering’s job to get out of glare of attention as quickly as they can, and let sales start taking the heat. After all, how much fun was it when the CEO was analyzing engineering’s embarrassingly inaccurate schedules in great detail. Every day. This entry was posted in engineering, management. Bookmark the permalink.